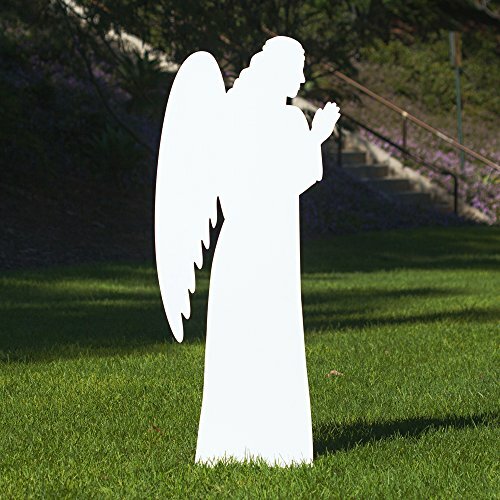 Outdoor Nativity Store Outdoor Nativity Set Add-on - Angel (Life-size, White) by Outdoor Nativity Store at Two Clock. MPN: 21-0231. Hurry! Limited time offer. Offer valid only while supplies last. Simple and striking. The Outdoor Nativity Set series proclaims the meaning Christmas with elegance in your yard or garden - in any winter climate. Simple and striking. The Outdoor Nativity Set series proclaims the meaning Christmas with elegance in your yard or garden - in any winter climate. The Outdoor Nativity Set Series is made of all-weather, fade-resistant PVC plastic. All-weather, fade-resistant PVC plastic (3/8 inch thick). Made in USA.